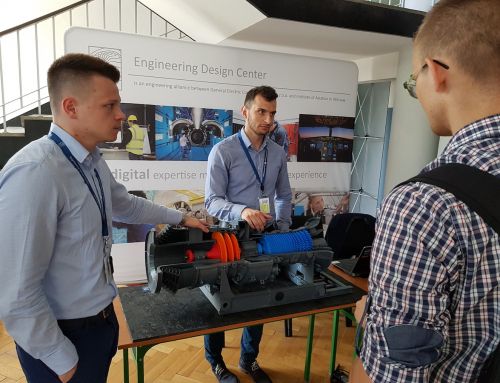 On Tuesday, March 18th EDC was present on a 21st Engineering Job Fair organized by BEST (Board of European Students of Technology) on Warsaw University of Technology among 68 other engineering companies. EDC was represented by engineers from all EDC businesses and the HR. The visitors were mainly students and graduates from Warsaw University of Technology, Warsaw Military University of Technology and other Warsaw universities. EDC’s stand was one of the most popular during the fair. The whole time a small crowd of people interested in work and internship was asking questions and getting knowledge about opportunities EDC gives – including the Edison Engineering Development Program.